Anshu discovered clay in Hoboken, USA, at Larry Michelotti’s studio and after the initial familiarization with clay in which she made a lovely coiled bowl which still holds pride of joy in her house, she began throwing dishes to serve soft ribbons of linguine, bowls to spread around the table with colorful salads, flat platters for some hot samosas and kebabs, cups and mugs for the endless mugs of coffee and hot chocolate. She aimed to create individual decorations so that each piece would become part of the dinner table conversation. Having worked in the financial services industry for almost 2 decades, this is her call to Nirvana. Having learnt the basics with Larry for a couple of years, on relocating back to Mumbai – she completed her diploma in Ceramics from L.S.Raheja School of Art. She also participated in a weeklong workshop at Sanskriti, Delhi mastering the techniques of Copper red reductions with Ric and Judy Pierce from Australia. 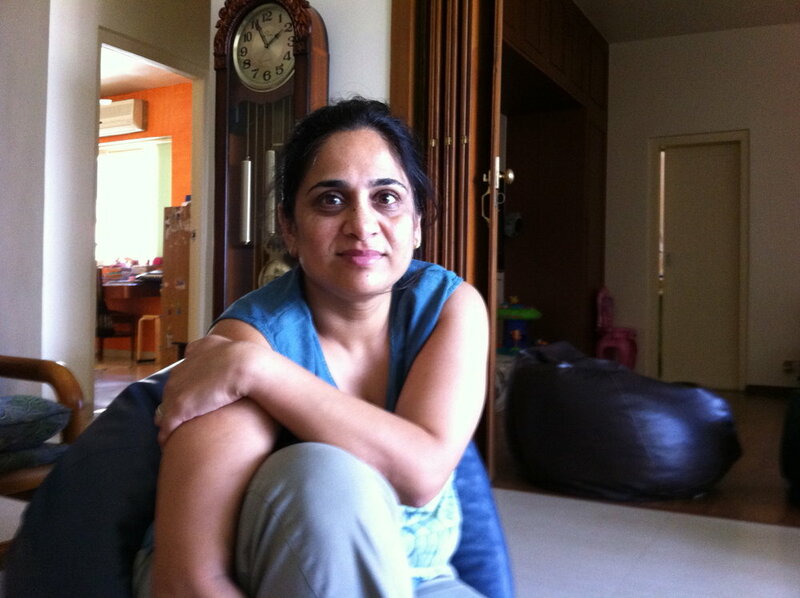 Having participated and conducted many workshops in Mumbai and Delhi, she now simply loves to create beautiful things. After struggling for space to set up a studio in this city, she finally created a cozy little space near Grant Road in South Mumbai. But that too has been jeopardized now, as the building may be redeveloped. Her quest for space begins again. Currently, all her creations come to life here. As a studio potter – she designs and creates all these herself, and each piece is an exclusive piece - very similar to being a form of art. She stocks her finished pieces at her home, near Mahalakshmi station and is happy to create customised pieces on order, within her sensibilities.